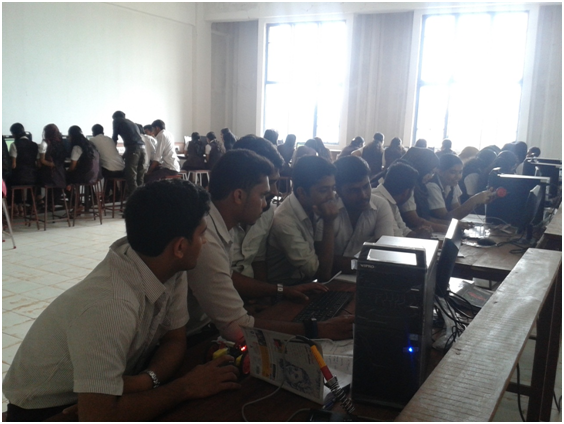 The Department of Electronics and Communication was established during the year 2010 with the aim of providing the students developed technologies in the field of Electronics and Communication as the global scene is exposed to new vistas of emerging technologies, especially in VLSI, Microprocessors and controllers, Embedded systems, Digital Signal Processing, Communication Systems etc. The 21st century is a century of knowledge and Technological shifts. The paradigm shift in technology is the growing need of learners in the 21st century. 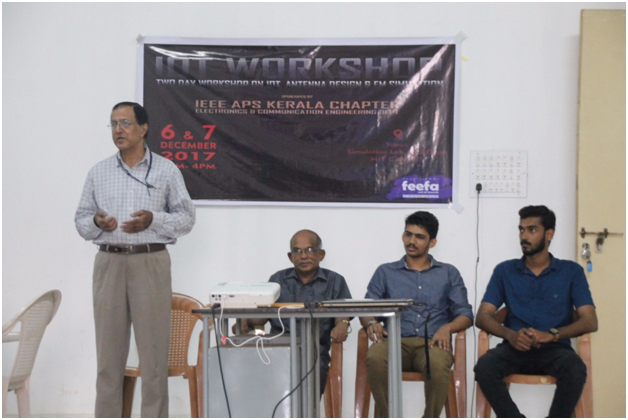 Hence the management of Malabar Institute of Technology has rightly decided to expose the rapid advances in Electronics & Communication, the society today is made to acquaint. Along with its lively support to the students, the department also encourages the staff members in pursuing their higher education. Faculty members are being sponsored for attending various seminars, induction programs & workshops held at other institutions. 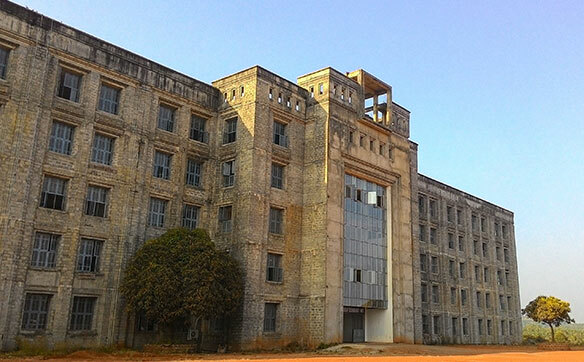 The Department is capable of offering subjects like Embedded System Design, Analog and Mixed Mode VLSI, Image Processing, etc. along with other core subjects. 1. 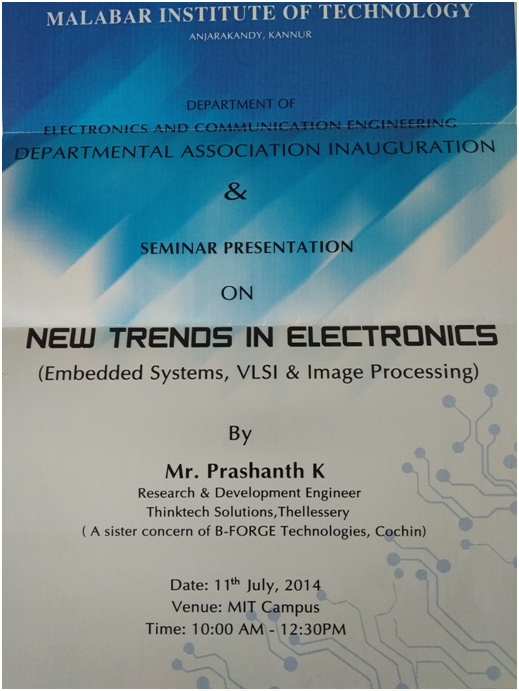 Departmental Association Inauguration and Seminar Presentation on New Trends in Electronics: Embedded System, VLSI and Image Processing on 11th July 2014. 2. 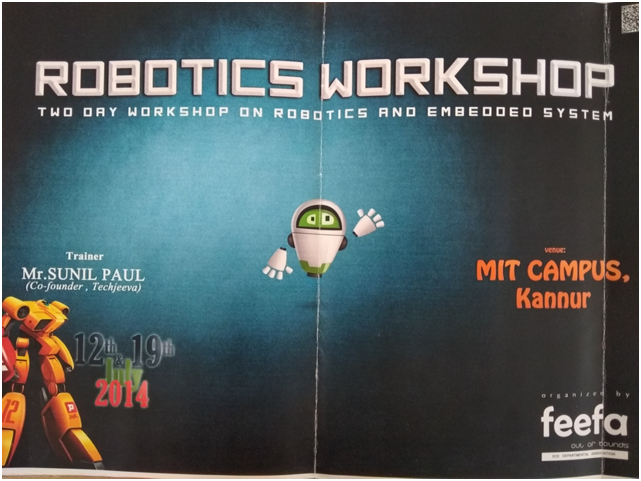 @ Days Workshop on Robotics and Embedded System on 12th& 19th 2014. 3. 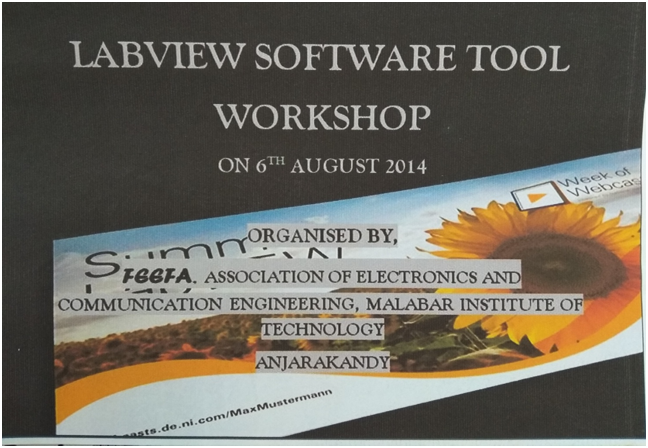 Workshop on LabView Software Tool on 6th August 2014. 4. 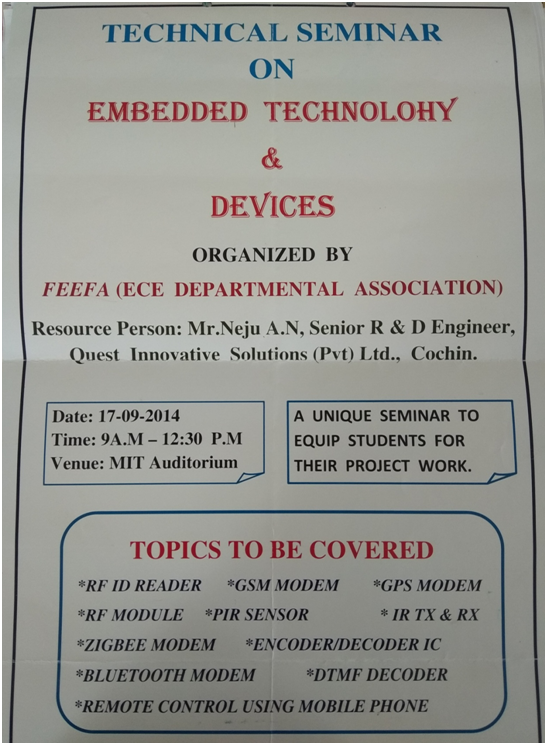 Seminar on Embedded Technologies and Devices on 7thSeptember 2014. 5. 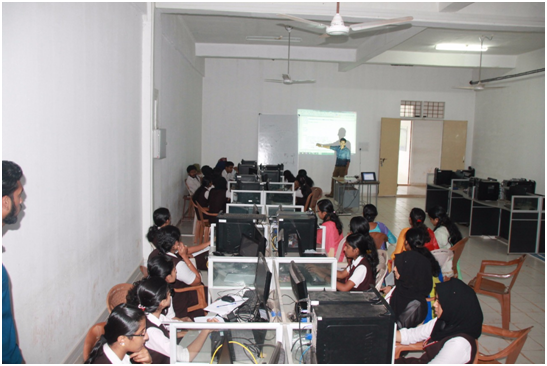 MATLAB hands-on Training by AcharyajiTecnologies, New Delhion 5th& 6th January 2016. 6. 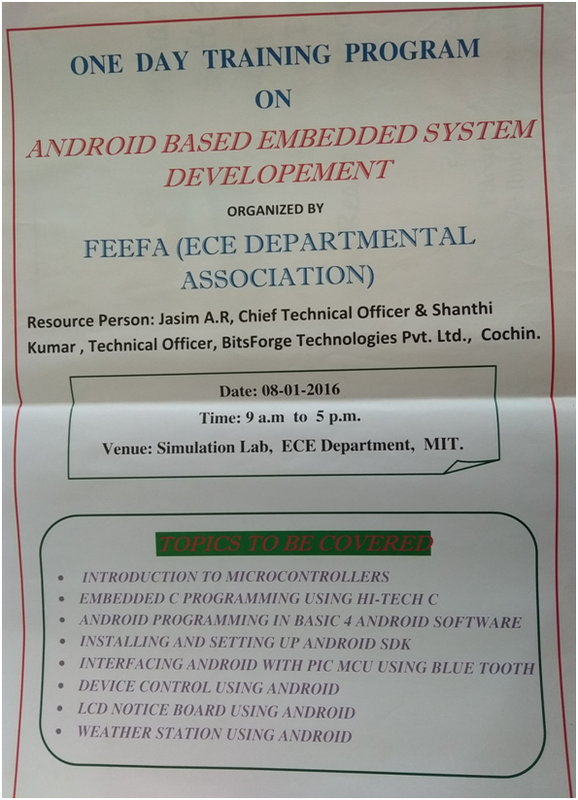 Seminar on Application of Android in EmbeddedSystem . 7. 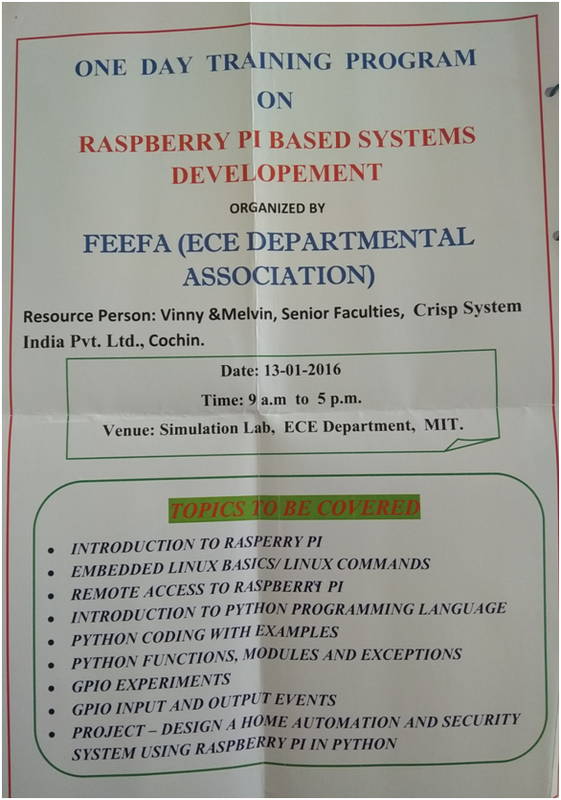 One Day Workshop on Raspberry Pi based Embedded system Development on 13th January 2016. 8. 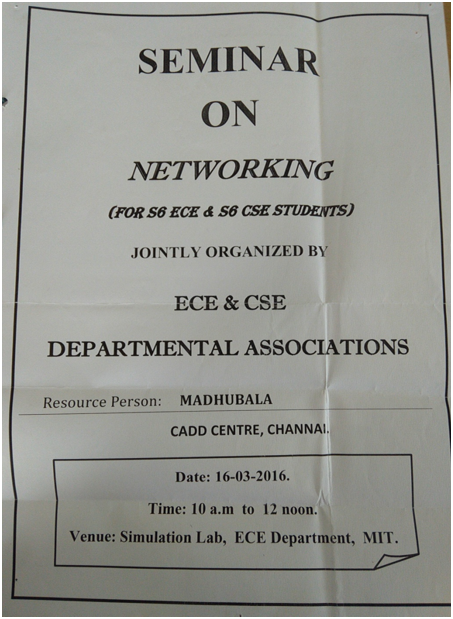 Seminar on Networking on 16th March 2016. 9. 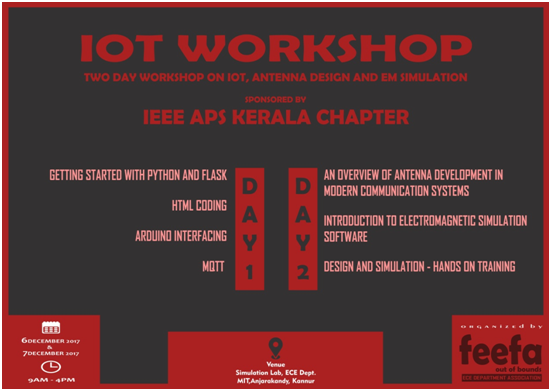 IEEE Sponsored Workshop on Modfern Communication Systems : IOT, Antenna Design and EM Simulation. 10. 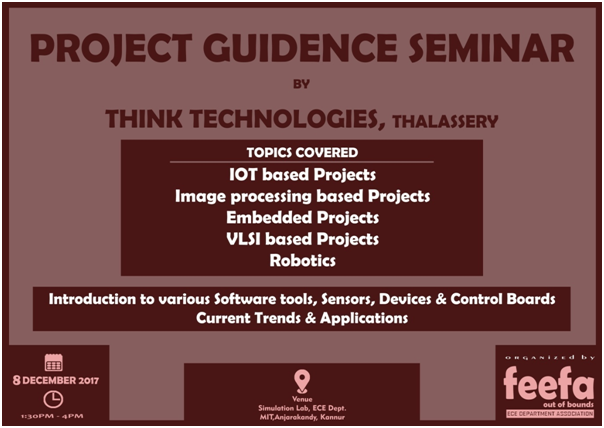 Project Guidance Seminar by Think Technologies on 8th December 2017. 1. 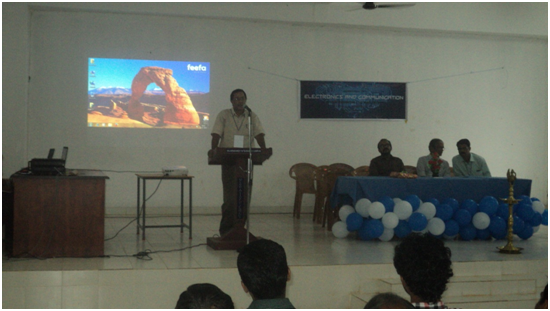 The Project idea titled” Automatic Rain Roofing System” Presented at the MalayalaManorama- Uva Mastermind Competition held at Kottayam on 2nd Oct 2017, by a group of 5 students(2015 Batch), was selected one among the 25 project ideas out of 2500 ideas all over Kerala. 2. Mr. Abhimanyu K K(2014 Batch) received first prize in INFOMANTRA-EC Paper presentation, in connection with the 16th Annual State Student Convention,Sangrah’18, held at Govt. 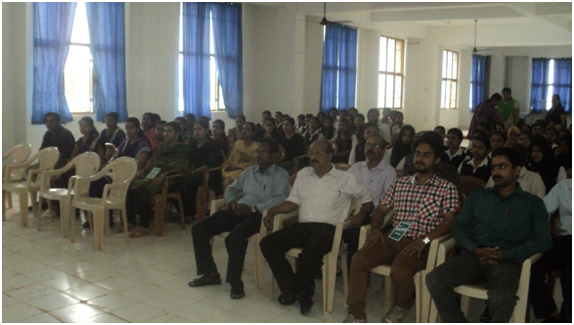 College of Engineering, Kannur on 16th Feb 2018.